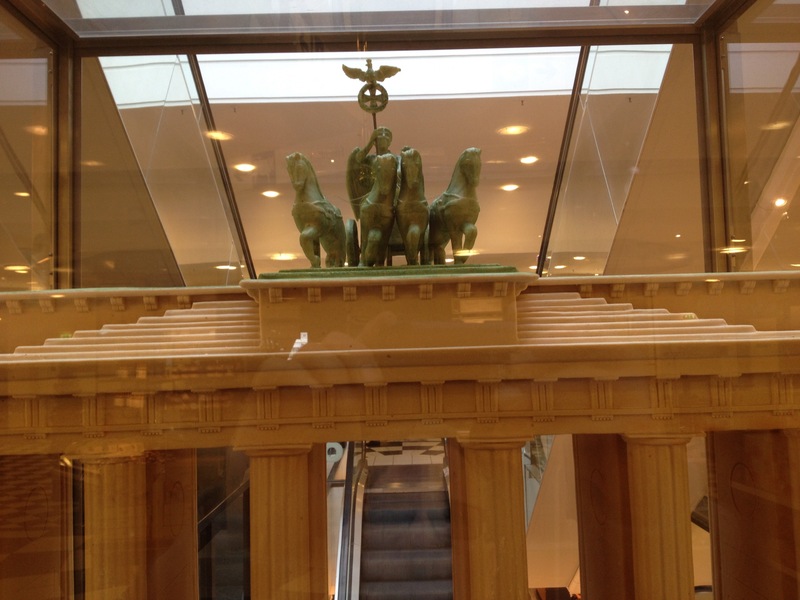 When I first saw these Bradenburg Gates at the escalator of KaDeWe I thought: white chocolate? 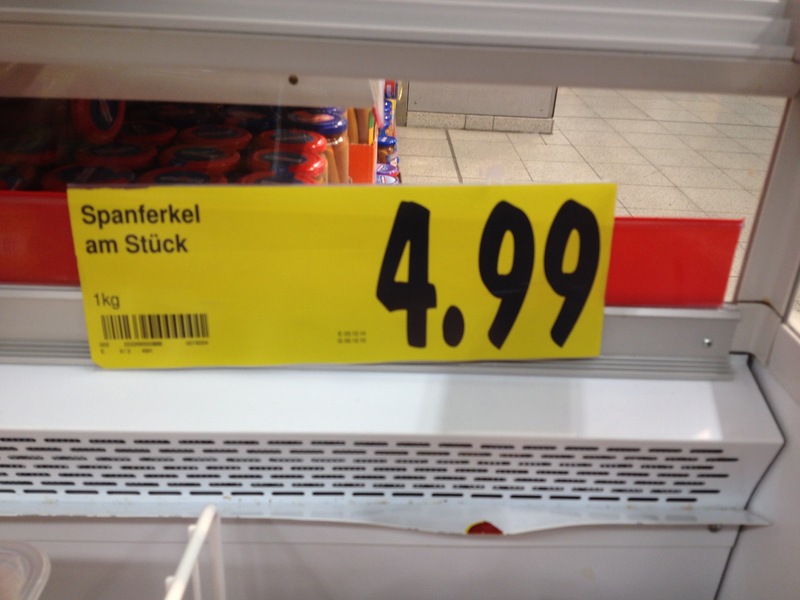 But of course this being Germany when I go closer I saw that, but of course: it was Marzipan. 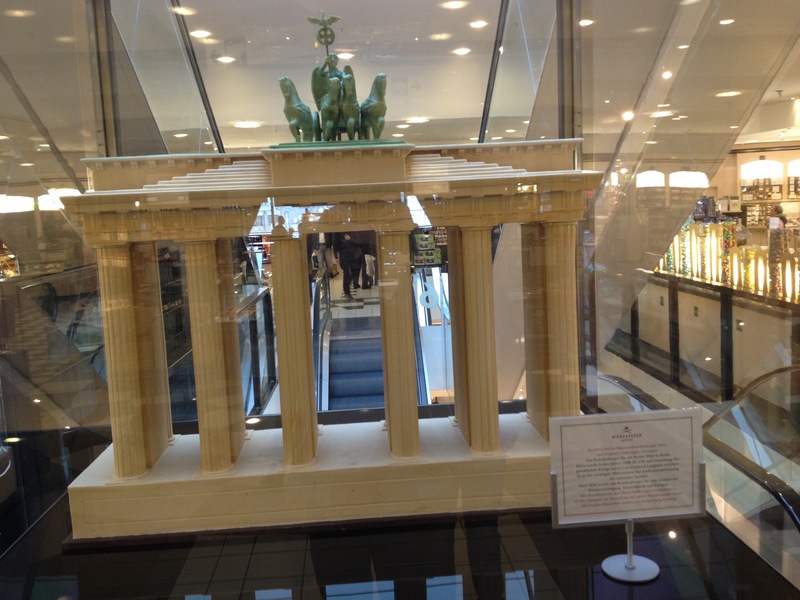 Niedergger Marzipan, 50 kilos of the stuff (a little more than 100 pounds). 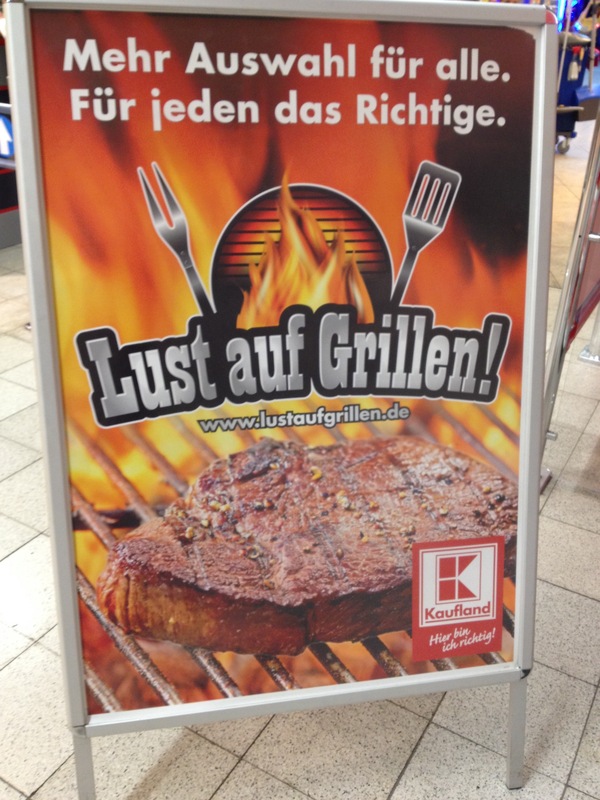 If KaDeWe represents the high-end there is also lots at the other end, some of which I couldn’t help but giggle at: Lust auf Grillen it’s like German Texas! 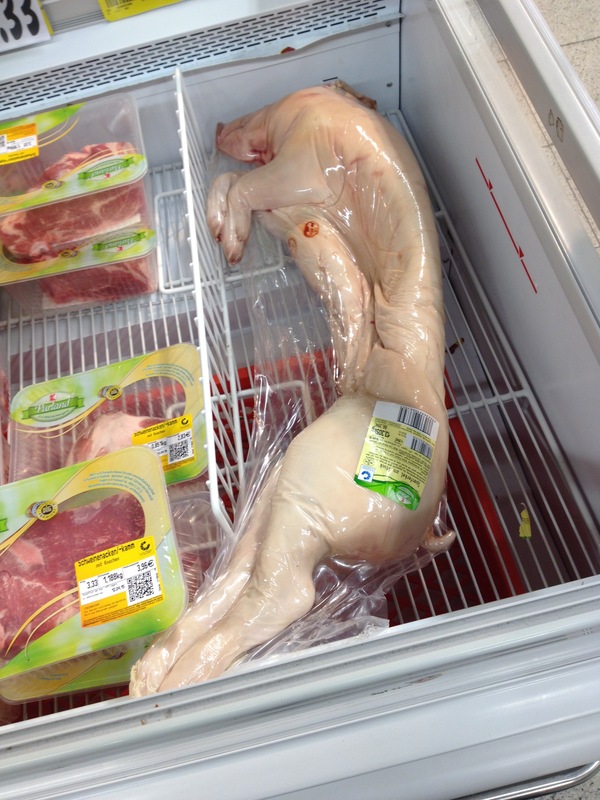 On the more macabre side I saw this shrunk wrapped pig in a low-end grocery store in Kruezburg: More amazingly if my reading of the sign is correct the entire pair was 4.99 Euro (so like 6 bucks) mmmmmmm I think I’ll pass on that one. 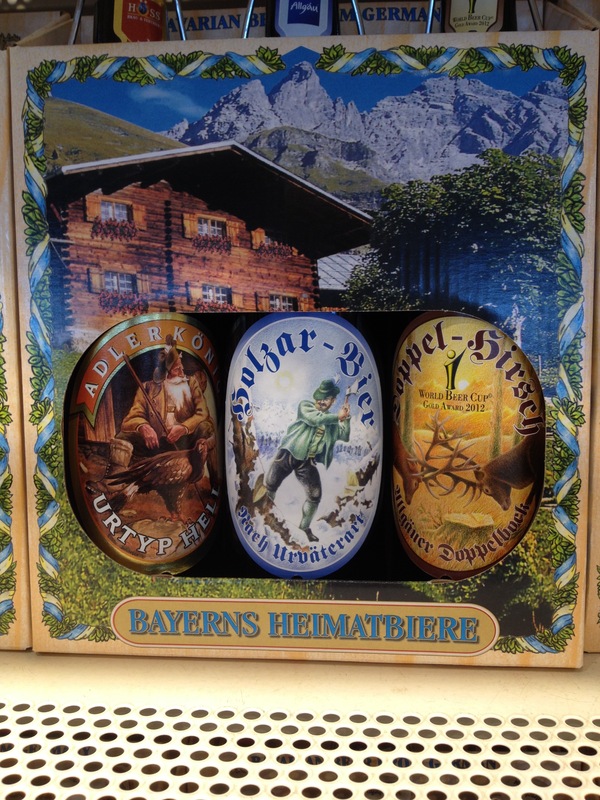 Then there was the beer collection at the airport. I flew out of Shoenenfeld the hub for EasyJet, Ryan, Aeroflot and TAP (Air Portugal) who I was flying to Lisbon. The beer selection alone was impressive, talk about leaning into a cliché. 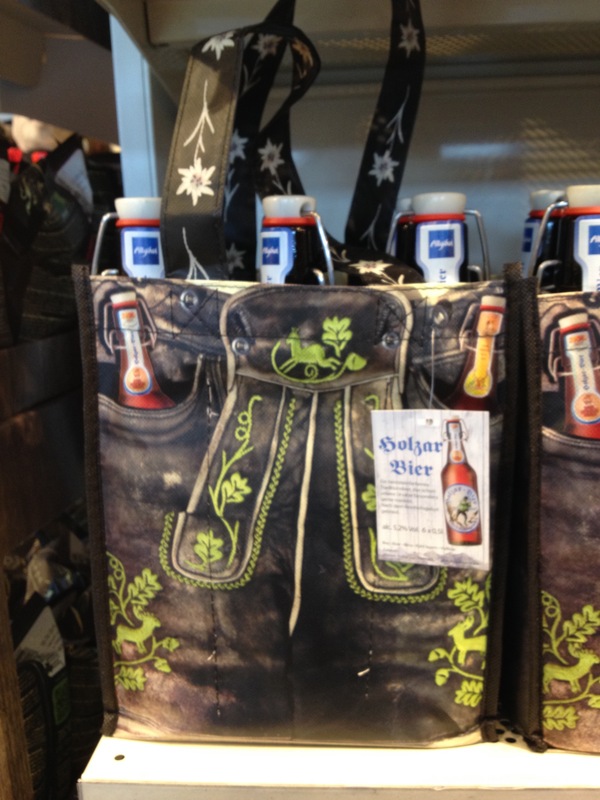 And my favorite the 6 pack in a lederhosen carrying case: The most amazing thing to me were these huge kegs that you could buy at Duty Free and take home with you. 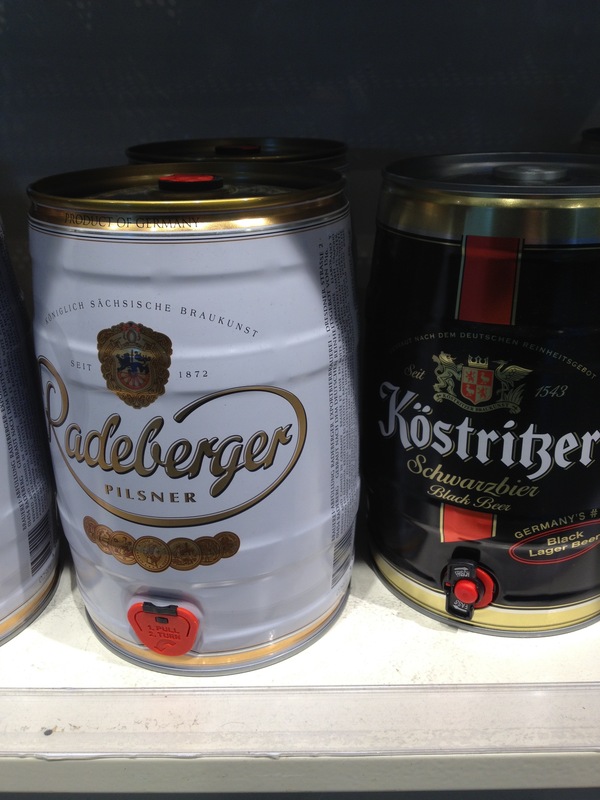 The picture doesn’t do them justice these kegs must have been 1 or 2 gallons worth of beer. 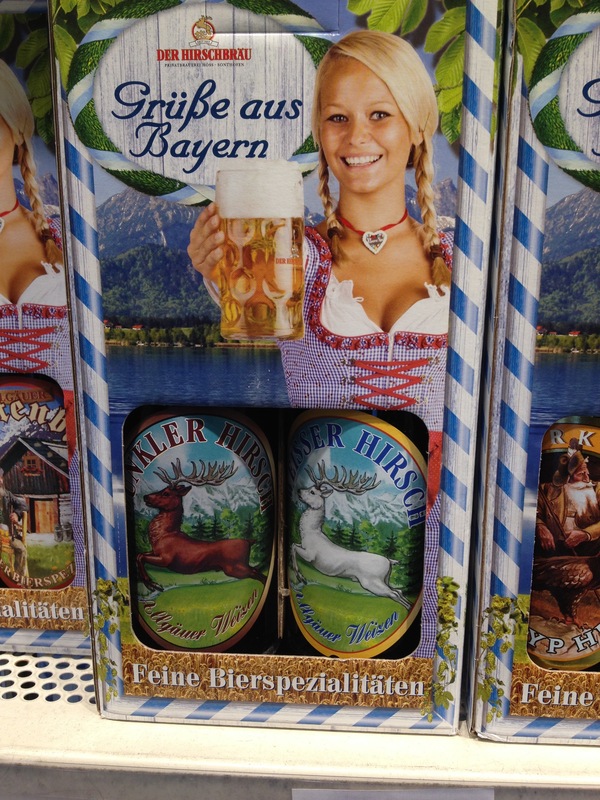 And of course when drinking Germany’s finest you inevitably will need a snack to go along with it. 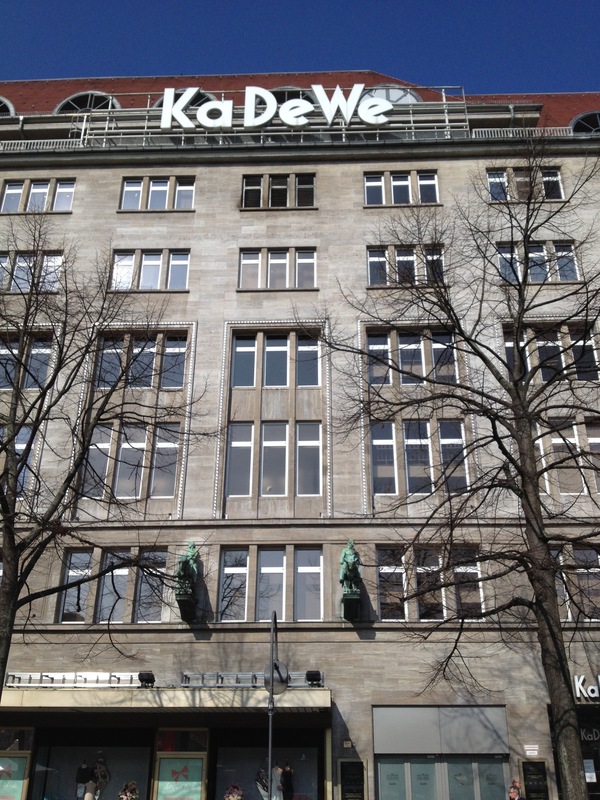 Of course there is also a very high end dinning scene these days in Berlin focusing on local season cuisine. I ate at Katz Orange and District Mot while I was there and enjoyed them both. They are tow very different restaurants, the late is a Vietnamese street food place, bustling, busy and flavor filled, the other is more fine dinner in an incredibly beautiful renovated brewery. Fun cocktails and great service. The food was well source, though I found it on the bland side, still very worth visiting. 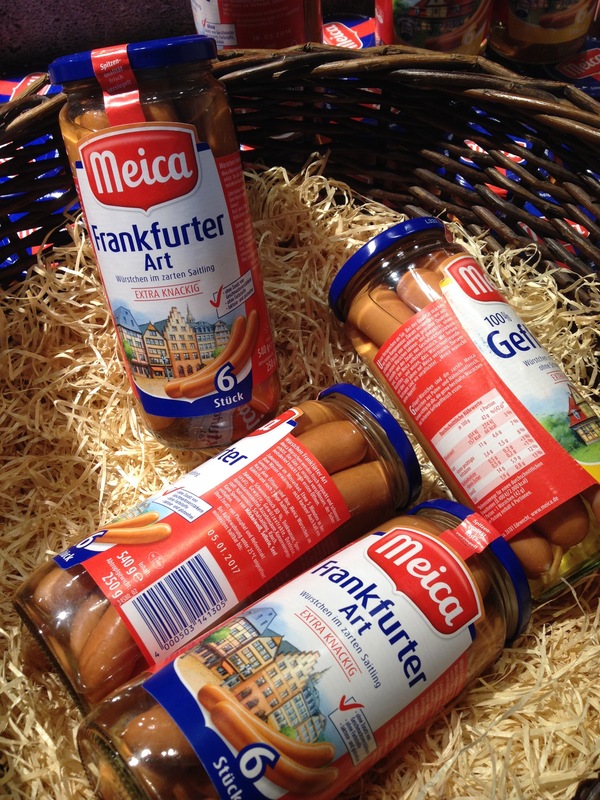 This entry was posted in Other Stuff, Travel and tagged Berlin, District Mot, German Beer, German Food, Germany, Marzipan, Niederegger, Orange Katz. Bookmark the permalink. I’m jealous as all hell!